Yeloworld boasts that they offer rates up to 99% cheaper than your network operator and over 50% cheaper on average than other calling services including SkypeOut, Rebtel, and Jajah. In addition, you can call your friends and family on their regular numbers: no need for special phone numbers, codes, or extensions. 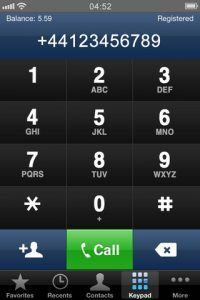 One awesome feature is in-app call recording. This feature, plus the fact that the app itemizes every call cost and length makes this app perfect for tracking billable hours with clients. Need to make a lot of international calls for business? 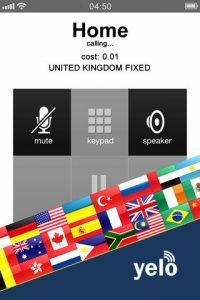 This app’s crystal clear call quality makes it an ideal choice for people who need to sound professional on the phone, without paying huge costs to do so. 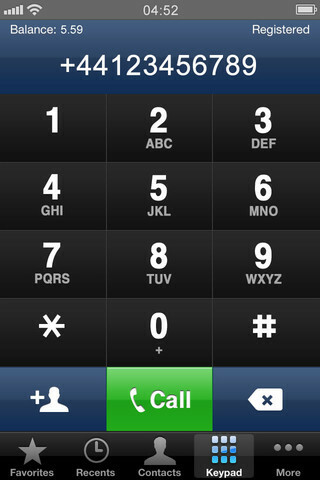 And when you make a call, the person on the other end will see your normal caller ID info. I came of age in the heyday of the calling card: if you wanted to make calls on the cheap, you needed to call a special number, pump in a code, and then dial the number you wanted to reach. Yeloworld is way easier and more convenient than that old-fashioned method. There are no fees and no subscription costs: you just pay for the calls you make. 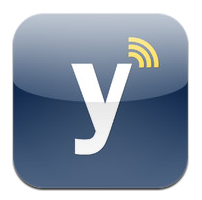 Yeloworld works on Wifi, 3G and 4G. You can pay as little as one cent per minute of talk time, and you’ll start with .50 Euros for free. (In-app credits are measured in Euros, no matter what currency you use.) I love that you can use either your contacts or the keypad to dial a number: similar apps often don’t let you use a keypad, which is annoying. With real-time balance updates and an elegant design, Yeloword offers a lot of great features. One thing I would change about the app is the ability to customize how much credit you want to buy. There are just three options for now: 6, 10, or 20 Euros at a time. In my tests, the Yeloworld app on Wi-Fi is about comparable to my cell carrier in terms of call quality. That makes it a winner in my book. Want to see this app in action? Check out this video on YouTube! 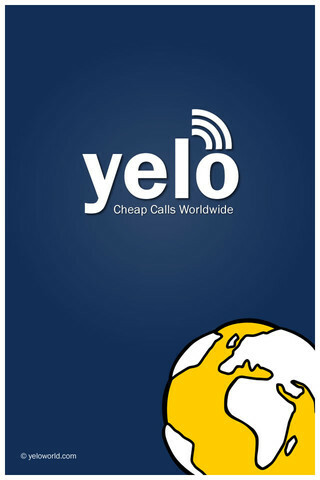 Yeloworldis compatible with iPhone, iPod touch, and iPad. Requires iOS 4.3 or later. 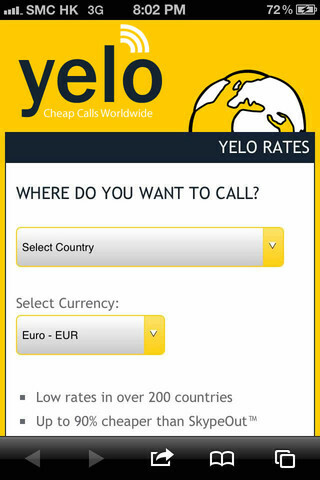 Android users: Yeloworld is also available for Android devices as well. Check out Google Play for more information!